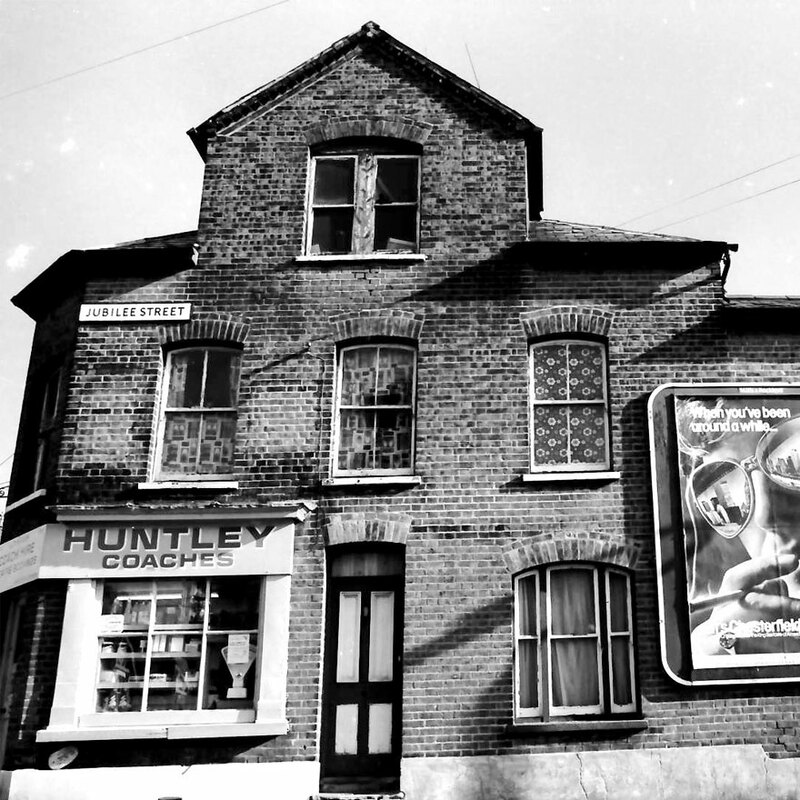 Artist Tom Hackett will be walking around Luton on 27/28 April and 5/12/18/19/28 May. Grab him for chat, to share your regrets and take part in an art project for Luton! Do you ever wish you hadn’t said or done that? Or that had things gone differently life might have shaped up better? Whether it was a job that slipped through the net, a goal missed in football, or a relationship gone west? Perhaps a white lie found out. Or maybe just being too shy to act on something at the time? 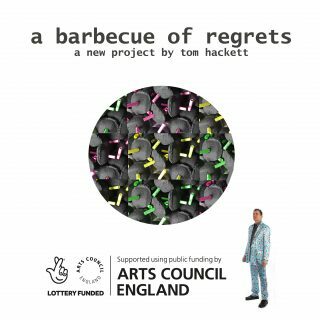 ‘a barbecue of regrets’ is an art project where artist Tom Hackett collects dialogue around personal, societal or other regrets from people in Luton through a series of incidental conversations. It explores the things or incidents from our past, which manage to lodge themselves into our personal libraries of regret. Things they somehow form a lament just niggling enough to persist in our consciousness. Just niggling enough to cause remorse and a desire for rectification or redemption. ‘a barbecue of regrets’ is a tribute to these minor ghosts in the machine. 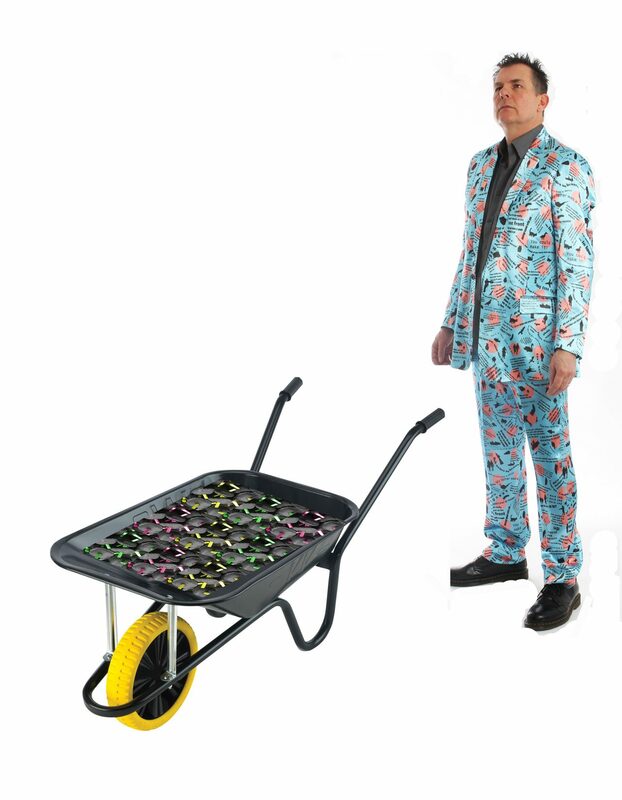 Over 7 days between 27 April and 28 May 2018 Artist Tom Hackett will walk around Luton Centre wearing a text covered ‘Conversation Suit’ and push a wheelbarrow full of charcoal briquettes. Each of these will be drilled through the middle to create a void to accommodate a rolled up post it note. As conversation strikes up, he will invite people to share a regret which is then written down on a post it note. He will then develop these into a series of art-works. The collected words will be digitally designed and printed to create a series of padded fabric ‘canvases’. He will also create sound sculptures (in collaboration with Julian Woodcock) using recorded voices and dome shaped barbecues to form a sound collage. These will be exhibited this September ‘Storefront’, Bute Street, Luton. During the exhibition there will also be an interactive barbecue event where the original hand written regrets are burned in the process. The sharing of regrets via writing and their subsequent conversation to smoke vapour acts as a playful collective letting go of regrets and simply getting it, whatever it is, out there. 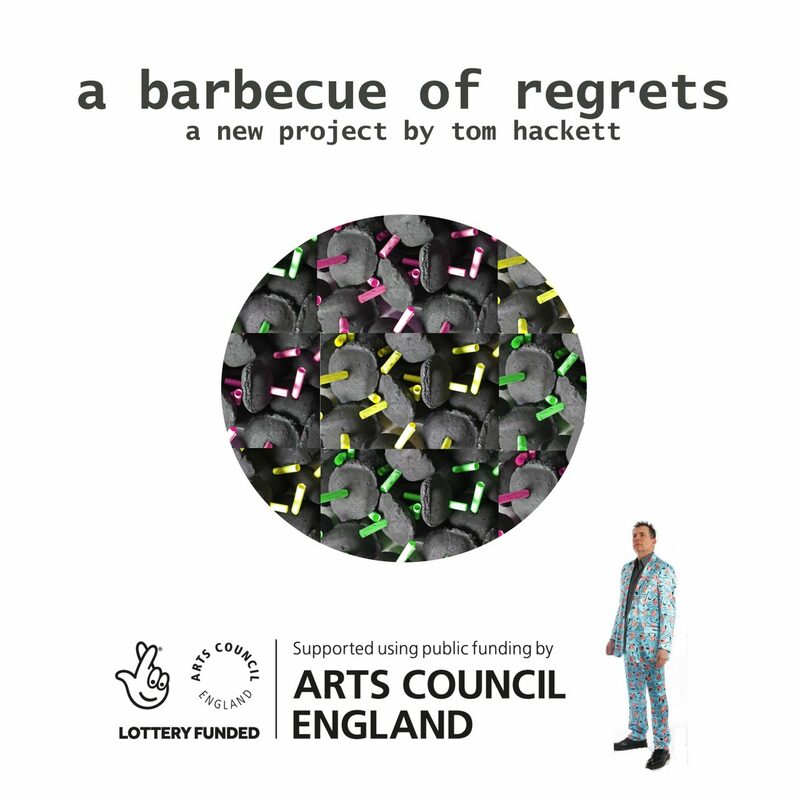 A barbecue of regrets is supported using public funding by the National Lottery through Arts Council England.